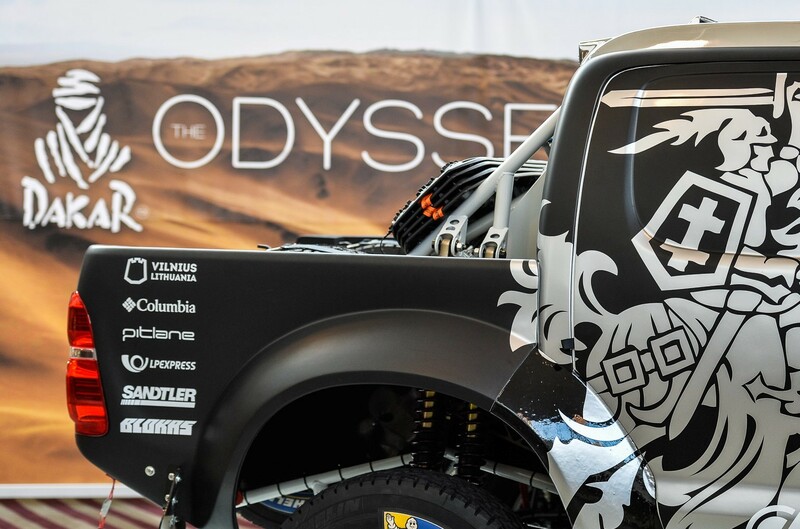 Lubrita proud about home Team in Dakar Rally 2015 and wish a lot of success! First stage: 1 hour 26 min. 37secs. Currently 36th position. The stage was very quick. We didn't have a chance to fulfill the potencial of us and our car, because we had to overtake many slower drivers, that were in front of us.The stage was very dry so we suffered from dust. It was sort of sad, that we couldn't go as fast as we wanted. We got a chance to get used to the car and it handles real well. The real Dakar starts tomorrow, and we will have one of the longest stages. It's the longest Dakar day - 518 km of special stage. It will clear situation for many teams. Variety of surfaces as well as altitude going to 2km above sea level will make special stage very special. Stage Two": 6 hours 12 minutes and 31 secs. Up to 28th position. The first part of the stage was great. We overtook many slower competitors, but while we were getting a stamp in one of the checkpoints, the judge giving the stamp somehow managed to hit our side window so hard, that it fell out. So, we continued without the window and got in to a 100 kilometers of "fesh-fesh" sand, taking most of it inside. This ruined our visibility that ended in up in deep sand. It took us some time to set free - the time we gained in the start of the stage. Short overview of Dakar 3 day stage. 284 km - the shorter and less intense one, but with thousands of stones, riverbeds and the red earth tracks.